Phil and Niclas wear evening looks by DARKOH. Making an elegant proposal, photographer Sophie Daum teams up with Joyce Darkoh of DARKOH menswear for a new exclusive. The bespoke label's eveningwear is front and center for a story featuring models Niclas Gonzales (Modelwerk) and Philipp Sroda (Louisa Models). 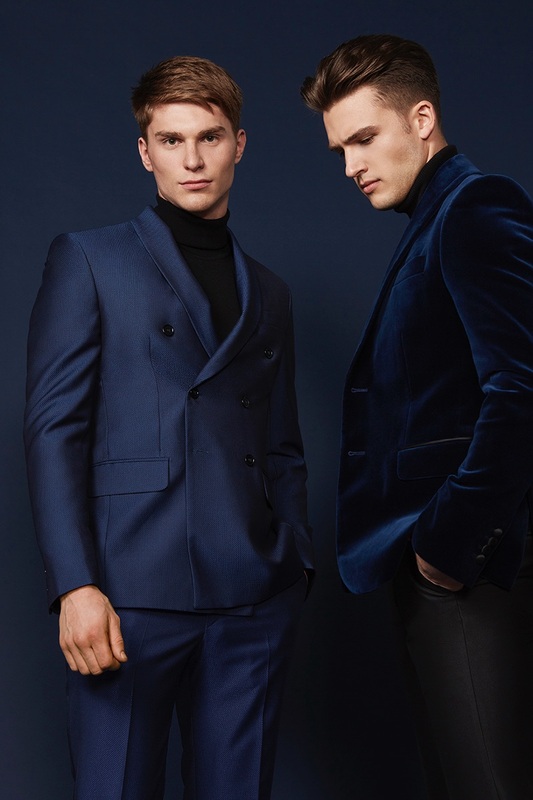 The pair impresses in dapper looks, which call on classic pieces such as the velvet evening jacket. 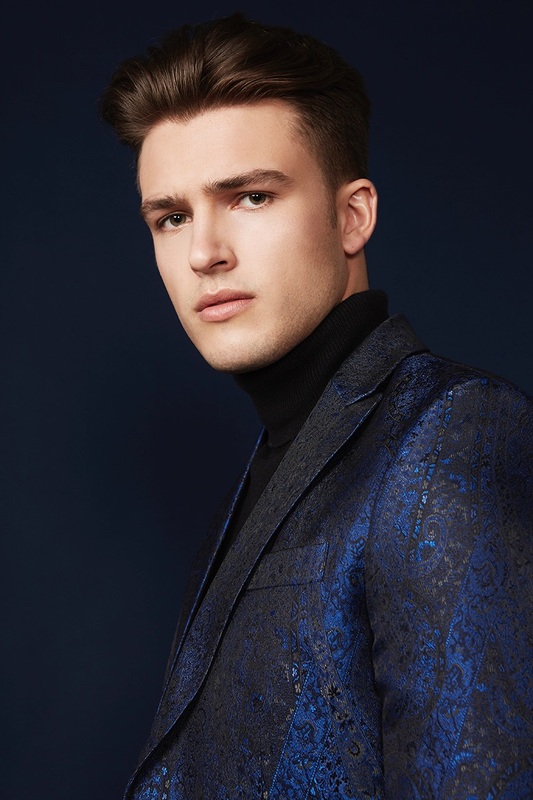 Picture-perfect, thanks to grooming by Kristina Heinisch, Niclas and Philipp also don must-have eveningwear like embroidered jackets and tuxedo trousers. 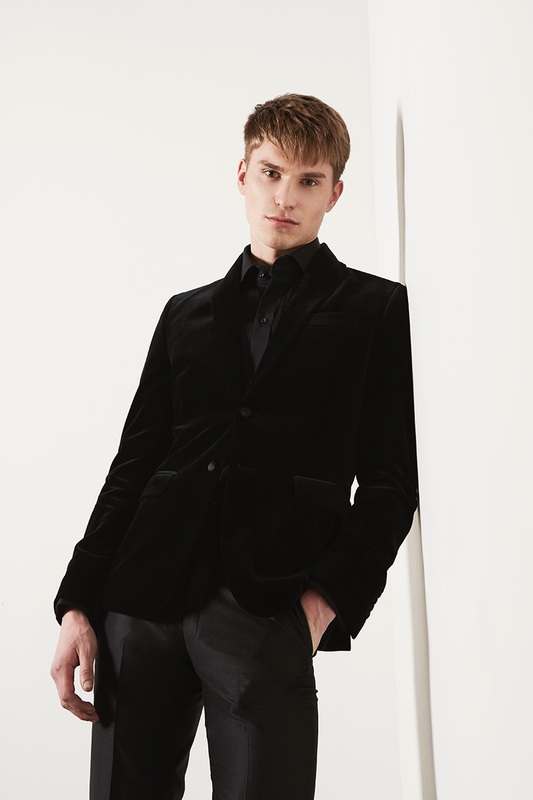 Niclas wears a dapper look by DARKOH. Philipp dons dark evening attire from DARKOH. 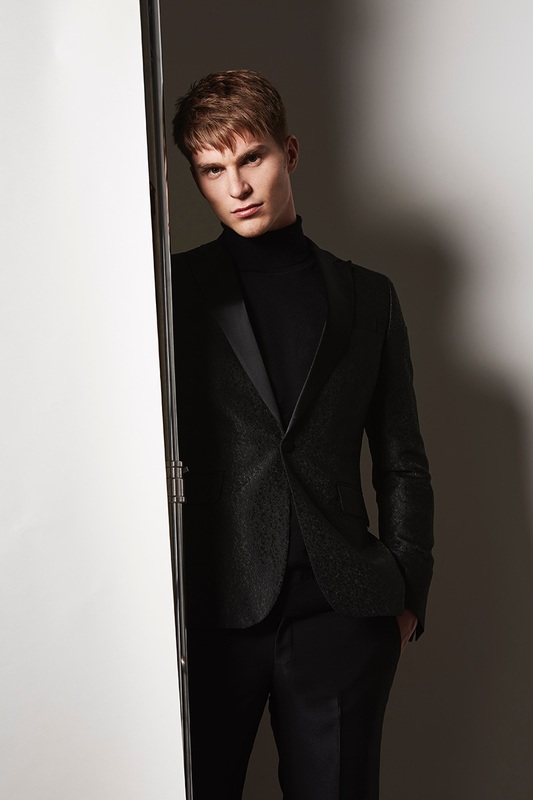 Going sartorial, Philipp wears DARKOH. Taking to the studio, Niclas wears DARKOH.